44 km from Downtown Bandung, you can arrive at White Crater Ciwidey, specifically in Rancabali. White Crater has a beautiful view, and greenish white lake combined with limestone which is a soothing treat. According to the story, White Crater is a place where the ancestral spirits gather. One of the peaks is even believed as the place of the spirits holding the meeting. If you are curious, go grab yourself here immediately! You just need to pay 15k IDR to enter White Crater. Patenggang Lake offers the beautiful lake around Rancabali plantation. From downtown Bandung, the trip takes 47 km long to Patenggang Lake. At Patenggang Lake, you can experience the cool atmosphere while boating the lake, but of course, you should rent the boat to do so. Your holiday will be more fun if you come along with family because Patenggang Lake is the best family attractions in Southern Bandung. At Rancabali Plantation, you’ll find the overlay of tea plantation as far as your eyes can see it. The best thing to do is taking a picture in the middle of it. If you have a desire to visit tea factory, they also have a package of the factory tour. It cost 5k IDR for each person, then you will learn about tea cultivation, preservation, harvest, and processing. Do you want to pick strawberry freshly? Do you want to know what shape of the strawberry tree? You can get that opportunity in Ciwidey. There is strawberry garden you can pick it directly by yourself, accompanied by fresh air and spectacular view. Such an unforgettable experience! Furthermore, things you shouldn’t miss is pick it and eat it at the same time. Cimanggu Park or Green Hil Park has a protected forest, specifically is tropical forest, that overgrown by many kinds of trees and wild animals. The visitors can not only walk around the forest but also enjoy the different activities. For those who want to stay overnight, they can camp or sleep in the villa. The ticket entrance of Cimanggu Park is fairly cheap, only 20k IDR for each person. Walini Hot Spring is one of the hot springs in Ciwidey. This hot spring contains hot water sourced from nature. There is also a warm pool you can swim. The area is surrounded by tea plantation, giving the coolness and freshness. If you want to visit Walini Hot Spring, you just need heading to Walini Tea Plantation, and then you will find it. The location is not too far from Patenggang Lake. This is a campground around Eucalyptus plant area, sort of a plant from the continent of Australia. This destination is situated at a height of 1700 meter above the sea level, so the air is very fresh and cool. There are also some food stalls in a row. In addition, if you want to camp, you can rent the tent and other equipment. Ranca Upas Campground also has the deer reservation where you can see wild deer while camping there. Southern Bandung is actually far enough from the downtown Bandung. If you have a trip to Southern Bandung, but don’t drive your car, then you can rent a car from Dirgantara Car Rental Bandung. The driver will take you to anywhere in Southern Bandung. 6 Downtown Bandung Attractions You Probably Don’t Know! Hang out with friends over the weekend will be awesome. Likewise for those who want to be relaxed with beloved family at the best places to hang out, while enjoying the food. If you visit Bandung, don’t be confused to look for those places, because Bandung endlessly provides plentiful places to hang out. Abandoned House is a café that adapts the concept of horror and also has a horror story. People say that the murder ever happened in this house, adding the eeriness. Horror and mystery atmosphere are also pictured by the interior design. However, all of your fears will be disappear immediately when you observe the menu : burger, baked rice, chicken wing, pasta and a lot of beverages. Hanging out at Cocorico is a right choice, considering its romantic ambiance, delicious food, and the beautiful scenery of the top Bandung. The café split over 3 floors. You can enjoy the view of Bandung from the first floor, you can find the green garden at the second floor, and you can group with the friend at the rooftop. Café D’Pakar provides not only high-quality food but also beautiful nature scenery that become the main attraction. This café is also placed on the top of a cliff, so it is very compatible to hang out or relax. The provided facility like the wooden chair is very unique. The view of Café D’Pakar is not an artificial forest, but real full of trees in a row. Could you imagine eating the food from the top of a tree as if you were a bird? Every room has oval design and resembles the bird’s nest between the branches of the tree. From one room to another is connected by the bridge where is very impressive to take a selfie. The best menu here you should eat is nasi bakar kelapa, just try it! The environment around the unspoiled valley, the green trees, and also the fresh of mountainous air makes this place as the most popular place to hang out in Bandung. With the construction of bamboo, natural stone, waterfall, and the river flow at the surrounding area make your visit as if you were in the village. Please order the traditional food of Sundanese like Nasi Timbel in order to complete your culinary experience! On the outside, the building of One Eighty Coffe looks like a colonial house. Splitting over two floors, but the most unique are the first floor where the chairs and tables are placed in the middle of the pool. It is the ankle-deep pool, though. So, don’t be afraid to be wet. It even makes the decoration more pretty. In addition, there is a glass wall separating the indoor and outdoor area. This café has interesting concept because of the mixture of natural and industrial scene. Day & Nite Eatery & Grocery uses a lot of huge containers as the rooms, but this café is still beautiful because there are trees everywhere. Moreover, in the backyard of the café, there is a mini zoo containing a lot of cute birds. Armor Kopi is a coffee shop in Bandung which is very comfy and fun. It is placed at Taman Hutan Raya Ir. H. Djuanda, Cimenyan, Bandung. This hang out place not only provides a cup of original coffee but also let the visitor travel and enjoy the natural view which is very beautiful and fresh. Bandung has a lot of places to hang out, doesn’t it? Even more than that mentioned above. 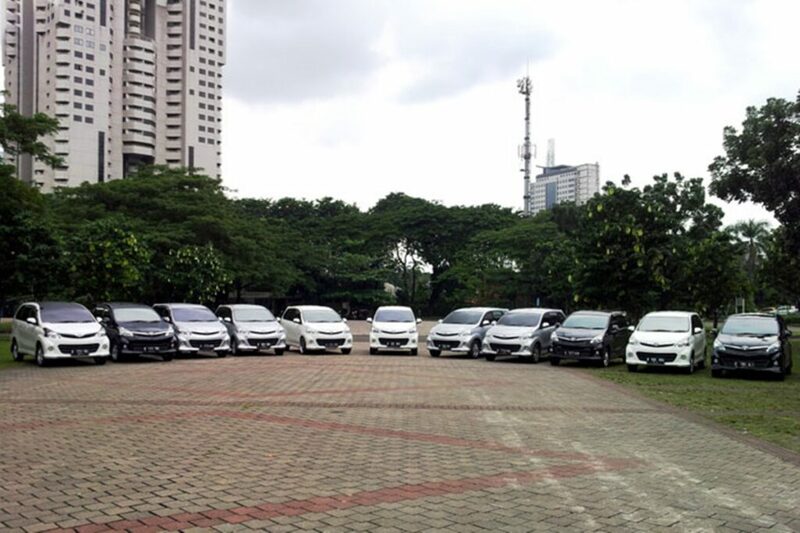 If you are traveling in Bandung but bothered by the public transport to go anywhere, then you can rent a car from Dirgantara Car Rental Bandung. Bandung is well known as one of the tourist destinations in Indonesia that have a lot of interesting places you can visit in downtown. Commonly, you’ll find the places like museum, park, mall, building and the cultural spot in downtown. For those who have the interest to travel in the downtown Bandung, there are so many places you can visit. Those places are actually located not far each other, accessible only in one day. If you have very limited time, traveling in the downtown Bandung will be a great idea then. Trans Studio Bandung is one of the theme parks standing on the 4.2-hectare areas. This wide area is offset by plentiful rides you can find like The Lost City, Magic Corner, Dragon Riders, Yamaha Racing Coaster, Superheroes 4D The Raid, and others. 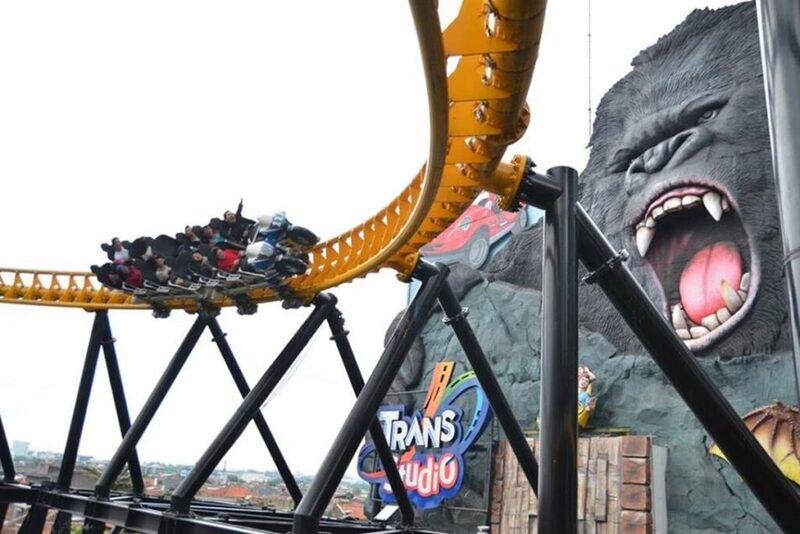 It is also known that Trans Studio Bandung is the biggest theme park in Bandung which provides fairly complete facilities and accommodations. Gedung Sate, with its characteristic of skewer above the central building, has become the symbol or identity of Bandung which is not only known by west java citizens but also the whole citizens of Indonesia. Gedung Sate even influences the building models of the nearby cities in West Java. For instance, train station in Tasikmalaya is similar to Gedung Sate. Bandung Zoo is one the tourist attractions consisting of flora and fauna in the downtown Bandung. Bandung Zoo is located side by side with Bandung Institute of Technology and Cikapundung river. Besides becoming the complement tools of human needs for recreation, Bandung Zoo is also a center of culture, education, wildlife sanctuary, or science and technology. Asia Africa street and Braga street are the most beautiful street extending in the downtown Bandung. Both are actually bordered and connected with a junction. There are multiple magnificent buildings with its uniqueness and history, that become the center of attention for either domestic or international tourists who visit Bandung. Some objects you can find are Gedung Merdeka, Museum of Asia-Africa Conference, Bandung Squares (alun-alun), Braga City Walk, and others. Cihampelas provides plentiful factory outlets. You can buy many kinds of clothes made from jeans. No wonder, this area is called as jeans street after all. Uniquely, you’ll be accompanied by superhero statues like Spiderman, Superman, Hulk, Aladin, and others in giant size. 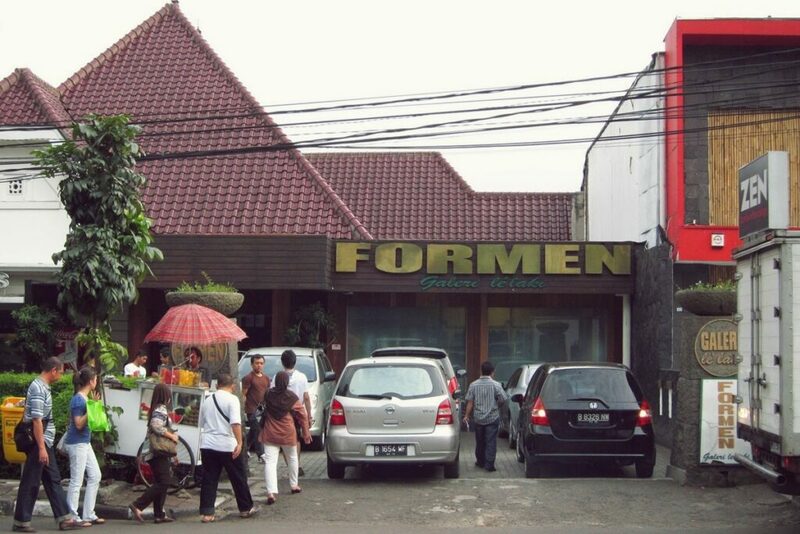 The travelers can also do shopping at Cihampelas Walk (Ciwalk), stay at the hotel, and enjoy the culinary tour. Downtown Bandung has a lot of thematic parks you should visit. The development of the thematic parks utilizes the deserted area and transforms it into the parks that have a different theme. The aim is to provide cozy and lovely public area. Some of the thematic parks in the downtown Bandung are Alun-Alun park, Jomblo park, Musik Centrum park, Vanda park, Lansia park, Pet park, Film park, Photography park, Superhero park, and others. Spending weekend along with family will be a priceless routine and happiness for everyone. Besides refreshing your mind, it provides a new experience to our family. As we talk about tourist attractions in Northern Bandung, surely there is no ending then, because the city has a lot of new fancy spots from year to year. Northern Bandung is very identic to Lembang. In fact, there is not only Lembang, but the visitors will probably mention Lembang to be visited in Northern Bandung. It is because Lembang is not only easy to be accessed, but also provides much selection of tourist attractions, supported by fascinating nature and adequate facilities that cause Lembang as the most favorable destination in Northern Bandung. The glamor of Tangkuban Perahu is about its big crater. The crater itself raises up a fabulous scenery when you come there. Even though classified as an active volcano and sulfur gas still comes out of the crater, but Tangkuban Perahu is still safe to be visited. The story behind Tangkuban Perahu is related to the legend of Sangkuriang, who built a big boat and kicked it upside down until became a mountain. De Ranch Lembang provides a cowboy-like atmosphere where you can pretend to be a cowboy by riding a horse and wearing full equipment of cowboy costume. The buildings and the tents totally give you the nuance of cowboy village. When you are visiting this place, you can even swap the entrance ticket with fresh milk. In addition, there are a lot of games you can ride and will spoil the kids. You can enjoy the environment while eating high-quality food at floating market. All the things are bundled in the unique and interesting concept of floating market, where all the foods are sold in the different boats. 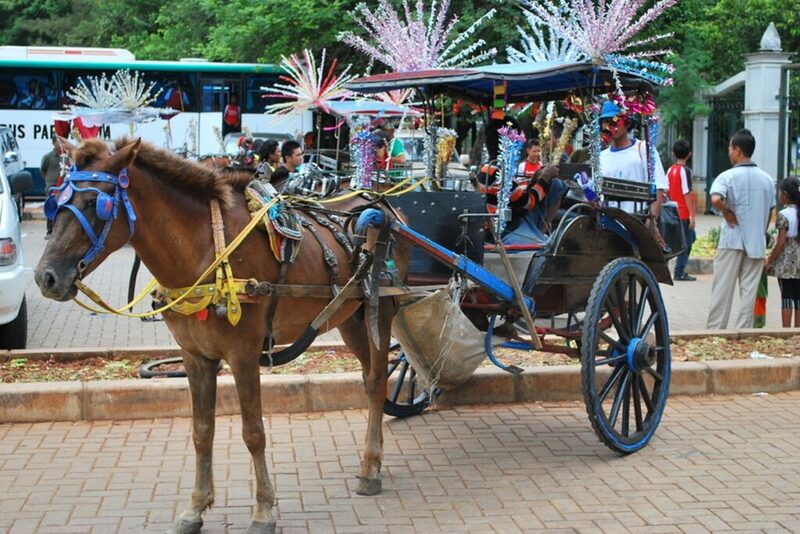 Floating Market is also equipped with a lot of facilities and modern rides. It is specifically grouped into 3 main objectives: playground, education area, and culinary. Because of those, Floating Market becomes one of the most crowded tourist attraction in Northern Bandung. Dusun Bambu Lembang adopts the theme of back to nature that stands out many kinds of natural sceneries and modern facilities like villa, restaurant, and cafe. You can do a lot of fun activities here, such as riding a bicycle, camping with family, and doing other outdoor activities. There are also some restaurants to spoil your belly. 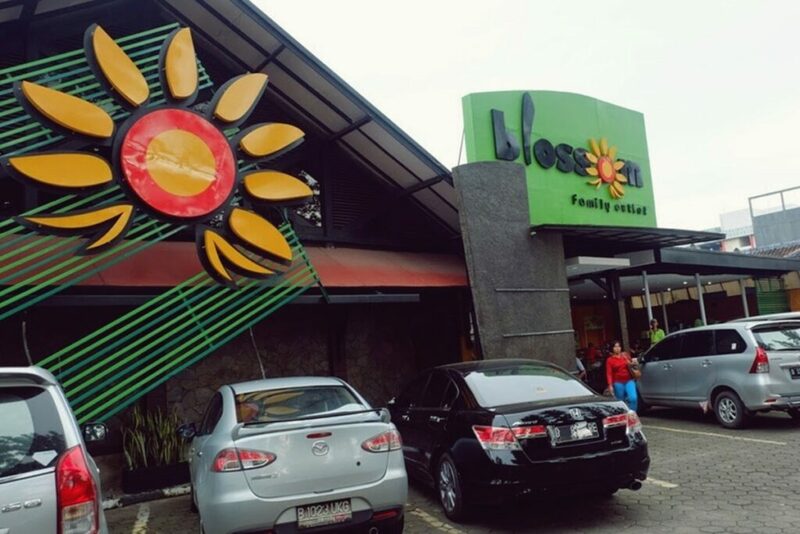 However, the most popular among teenagers is probably Lutung Kasarung Restaurant, because its concept and design are quite unique, looks like bird nest hanging in the tree. Farmhouse Lembang presents the miniature of a beautiful village, slightly affected by European atmosphere. There are some of the best spots you can visit such as hobbit house, petting zoo, some European buildings, a mini waterfall, costume rental place, souvenir shops, and some restaurants or cafes. The fee for the entrance ticket is fairly cheap, only Rp. 20000/person including free fresh milk or grilled sausage. After visiting all the best destinations in Northern Bandung, you can also continue to soak your body at Sari Ater Hotspring. Administratively, Sari Ater is a part of the Subang district. However, it is very close to Lembang, only 20 minutes driving from Lembang. So don’t forget to unwind at the hotspring while in Northern Bandung. Are you ready to visit Northern Bandung? Don’t ever miss these places while in Northern Bandung! You can drive your car, ride your motorcycle, or rent a car from Dirgantara Car Rental Bandung to go there. The driver will drive you to anywhere, including visiting a lot of tourist attractions in Northern Bandung. Farmhouse Lembang – Bandung, is the most recent tourist attraction in Lembang. Since opened in December 2015, Farmhouse Lembang turned into one of the favorite destinations in Northern Bandung. The nature condition that provides fresh air and beautiful scenery, added by European themed concept, is the only reason why this place called as a local destination with the European sensation. Farmhouse Lembang in Bandung is actually located in the same group with other tourist attractions like Floating Market, De Ranch, and Rumah Sosis. Therefore, if you visit Farmhouse Lembang, you can also visit other places. The location is very strategic, located at the main road of Lembang, precisely on the right side to Lembang. If you set off from Setiabudhi (Ledeng) or Indonesia University of Education (UPI), just go forward to the main road of Lembang until you see the curve road full of bamboo stalls. It means you are already close to the destination. You will find the sign of “Farmhouse Susu Lembang” with the dried root ornaments on the roadside. You can enter the gate and enjoy all the provided facilities. The entrance ticket is really cheap, only Rp. 20000 for each person, Rp. 10000 for a car charge, and Rp. 5000 for a motorcycle charge. It is very affordable, isn’t it? You can even swap the ticket with free snacks like grilled sausage, fried snack, and fresh milk with a wide selection of flavors: strawberry, banana, mocha, and vanilla. The facilities provided by Farmhouse Lembang are quite complete and affordable for all visitors. Starting from the souvenir shop, park, multipurpose building, indoor or outdoor cafe, bar, prayer room, and toilet. There are a lot of benches available in Farmhouse Lembang to sit along the park. In addition, Farmhouse is also inhabited by different plants and animals like chicken, bird, duck, rabbit, horse, and other animals you can find. After having a long walk, visiting the nearby restaurants will be a great idea. Even though the price is a bit pricey, you are still allowed to take a selfie and don’t have to eat there. Unexpectedly, this place is very favorable as selfie spot. Most of the visitors have different interesting spots at Farmhouse. Are you curious? Let’s check it out! The Hobbit house at Farmhouse Lembang is designed to look like the house in the film of “The Lord of The Ring.” All visitors should bow their self to enter the house because of its tiny size. You can capture the special moment with family, friends, and beloved people at The Hobbit house. One of the favorite spots is the European style house, which is unique and classic. The house is similar to Villa Cukul in Pangalengan. With classic European style, the wooden house stands beautifully and emits the old impression. This place matches with the visitors who look for the classical background. The location of the mini waterfall is close to ticket-milk changer. On the left side, there is an artificial waterfall. The size of the waterfall is not big enough but good to take a selfie. Moreover, on the surface of the water, you will find the stepping stones, and you can stand on it to get the best spot. Have you seen how beautiful the flower garden in Europe when combined with the classical building? Of course, Farmhouse Lembang also spoils the visitors through beautiful flower garden as if you were in the European country. Even though it isn’t completely similar, yet it is still pretty decent. Ladies can savor the feeling to be a charming European girl. Gracefully, they can rent the maid costume and put it on while pretending to be a cinderella in front of a classical background. There are some selections of background you can consider. If you are going to visit Farmhouse Lembang, this place is open everyday from 9 am until 9 pm. You can drive your car, ride your motorcycle, or rent a car from Dirgantara Car Rental Bandung. The driver will drive you to anywhere, including visiting other tourist attractions in Northern Bandung. As the city of flower, Bandung had lost its popularity years ago. To turn it back on the city of flower, to see the citizens interacting or enjoying the fresh air outside, and to increase the index of happiness in Bandung, the city Mayor attempts to realize his creative ideas through the thematic park that built very interesting. The following lists are 10 thematic parks in the downtown of Bandung. The area of this park is around 4000 m2 and located in front of Masjid Raya Bandung. Alun-alun park is built using synthetic grass. People who come here consist of various ages. The kids, teens, adults, to elderlies spend their time here to lie down, to chitchat, and to run around. Musik Centrum Park which is located on Belitung street is reserved for those who like music, especially group band. This place is used to being a place for a music show. If you want to perform, you should have a permit. However, you just coordinate and ask the permit from Diskamtam. This park is located under the Pasupati flyover, that’s why people also name it as Pasupati park. However, people mostly call it Jomblo park. Given that name because the shape of the bench is very small and can only be used by a single person. Every bench has a different color, it looks very beautiful, though. You can watch movies here at a certain time. Besides a huge screen and concrete bench, this park also has synthetic green grass in front of the screen as a sitting place on the ground. According to Kang Emil, the utilization of area under the flyover is an effort to reuse the deserted area in Bandung. The development of this park gets the positive response from the photography communities in Bandung, they can meet up with other people who have the same interest to exchange their ideas and to share activities related to photography. Photography park is also frequently used as an exhibition to display their masterpieces. Various kinds of the flower with different colors are available at Pustaka Bunga park. The visitors can enjoy the fresh air of Bandung while looking the colorful flowers in this park. The location is actually near Lansia Park. Bandung has a park which is specific for a pet lover. The name of the park is Pet Park, located in Cilaki area. In this park, Bandung pet lover can meet up and share each other related to their pet. The facility is also very pet-friendly. In this park, you’ll find a lot of superhero’s statue as its attractiveness. Some superhero statues here are Spiderman, Batman, Gundala Putra Petir, Superman, Gatotkaca, and others. 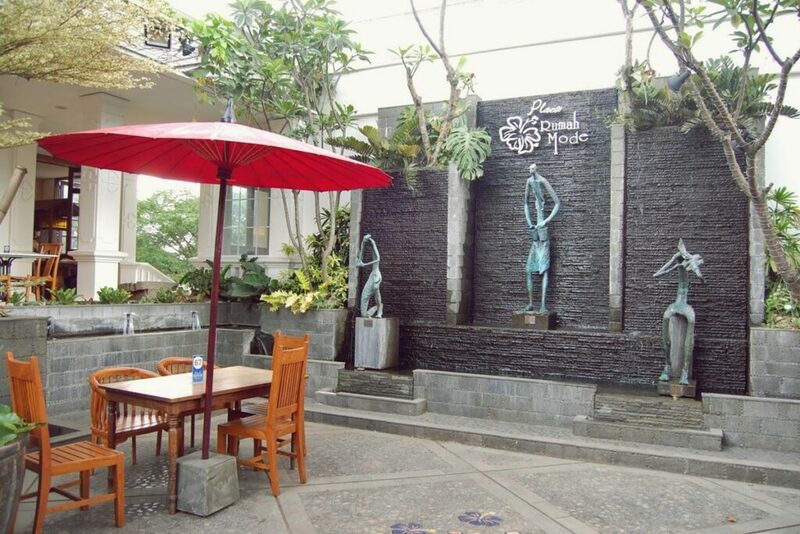 This park is located between Bengawan street and Anggrek street with 600 m2 areas. Vanda park is located on Merdeka street, actually between Bank Indonesia tower and Polrestabes Bandung. This park comes with water fountain. The name of “Vanda” itself is taken from one of the anggrek’s names. This park is fairly near Balai Kota park and Tepian Anak Sungai Cikapayang park. Do you plan to visit the downtown of Bandung? Don’t ever miss these thematic parks while in the downtown of Bandung! You can drive your car, ride your motorcycle, or rent a car from Dirgantara Car Rental Bandung to go there. The driver will drive you to anywhere, including visiting a lot of thematic parks in the downtown of Bandung. Do you plan to visit the downtown Bandung? Don’t ever miss these places while in the downtown of Bandung! You can drive your car, ride your motorcycle, or rent a car from Dirgantara Car Rental Bandung to go there. The driver will drive you to anywhere, including visiting a lot of places in the downtown Bandung. Rumah Mode has one stop shopping concept, where the customers can buy their item in one place. Rumah Mode offers some international brands like Armani, Ralph Lauren, and Gucci. The concept of the building uses traditional concept with garden and water fountain. There’s also a cafe for those who want to eat, drink or just take some rest. Address : F-41st Setia Budi Street, Bandung City. 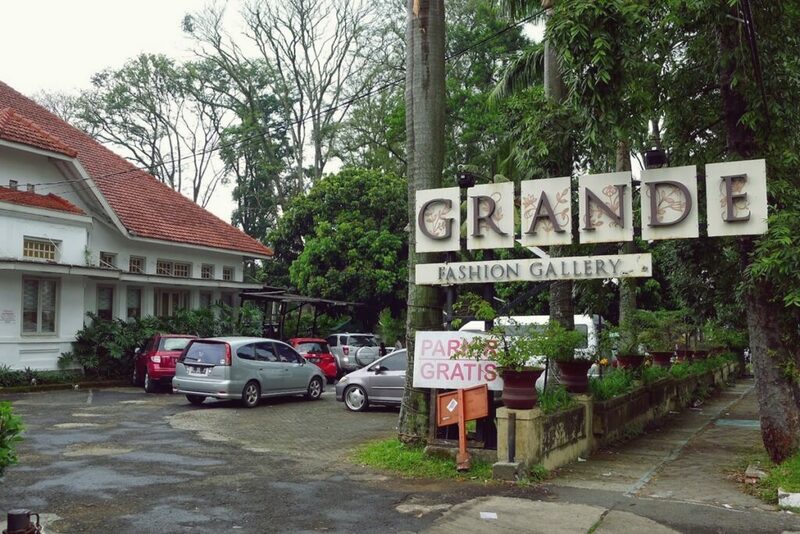 Grande Fashion Gallery is well-known for its quality and affordable prices. This place is quite nice and comfortable. The place also has fishpond for refreshing. Grande Fashion Gallery also has a cafe for those who plan not only for shopping but also hangout. Address : 118th IR.H. Juanda Street, Bandung City. Victoria is located in the same area with Grande. 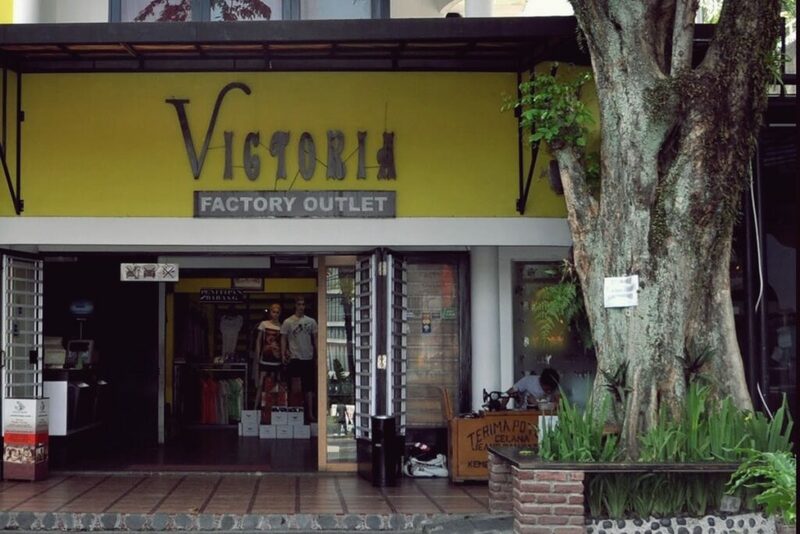 Just like other famous factory outlets in Bandung, Victoria offers many kinds of products. Items for an adult and children can be found here. The Items from international brands also available here. Address : 111th IR.H. Juanda Street, Bandung City. 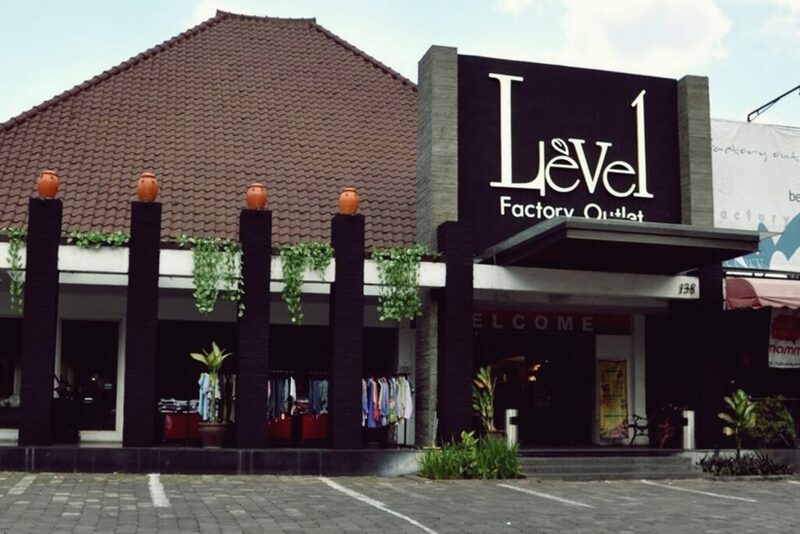 Basically, Level offers the same item like other famous factory outlets in Bandung. What makes this place different to other factory outlets is the priority to make the costumers happy and comfortable when they are shopping. The area is quite large, so the customer can park their vehicle easily. This place also has playing zone for children and food court. Address : 138th IR.H. Juanda Street, Bandung City. Fashion products in Blossom are quite varied. The price of each item is also quite sensible. In Blossom, we can buy bags, clothes, glasses, wallets, shoes, sandals and others. For those who are waiting for their partner, there is a food court available to be visited. Address : 112th IR.H. Juanda Street, Bandung City. Just like its name, For Men only focus on male products. This famous factory outlet offers complete products for boys and adults. We can find clothes, shoes, watches, and other accessories for men. Address : 36th R.E. Martadinata Street, Bandung City. Seximo mostly sells formal clothes for formal occasion and party. This famous factory outlet is very suitable for those who are looking for dress, jacket or tie. For the price, Seximo has quite sensible prices in line with the good quality of the products. Address : 106th IR.H.Djuanda Street, Bandung City. 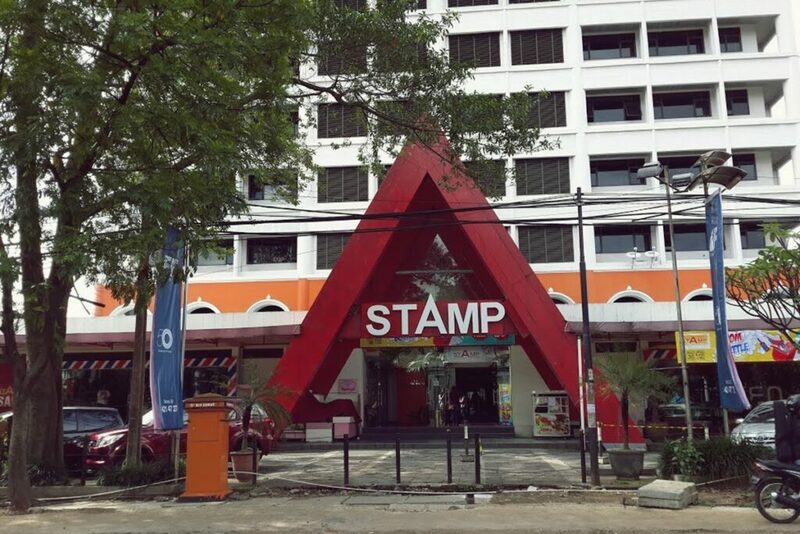 Stamp is a famous factory outlet in Bandung that focuses on the local products from Indonesia. One of the famous products sold in Stamp is shoes from Cibaduyut which the quality is well-known very good. Address : 38th R.E. Martadinata Street, Bandung City. Is it very interesting, right? Besides providing a lot of tourism spots, Bandung also becomes one of the fashion centers in Indonesia that provides famous factory outlets in every corner of the street. If you have a plan to visit Bandung but don’t drive your personal vehicle, then car rental Bandung will be the right choice. You can rent a car from Dirgantara Car Rental Bandung, and the driver will drive you to anywhere, including visiting some famous factory outlets in Bandung. A theme park has now become one of the favorite destinations for people to spend their holiday. Besides providing many shows and rides, a theme park is only located in one large area, so there is no need for changing places. There are two types of the theme park: outdoor theme park and indoor theme park. An outdoor theme park, just like its name is located in open space. People is not only able to enjoy the entertainments and the rides, but they also can enjoy the view around the place. An indoor theme park in the other hand is located in closed space. An indoor theme park is usually located in downtown or place which is easy to access. One of the indoor theme parks is Trans Studio Bandung that located in Gatot Subroto Street 289 Bandung. In total, Trans Studio Bandung provides 25 rides. Here the list of 6 best rides you can’t miss at Trans Studio Bandung. 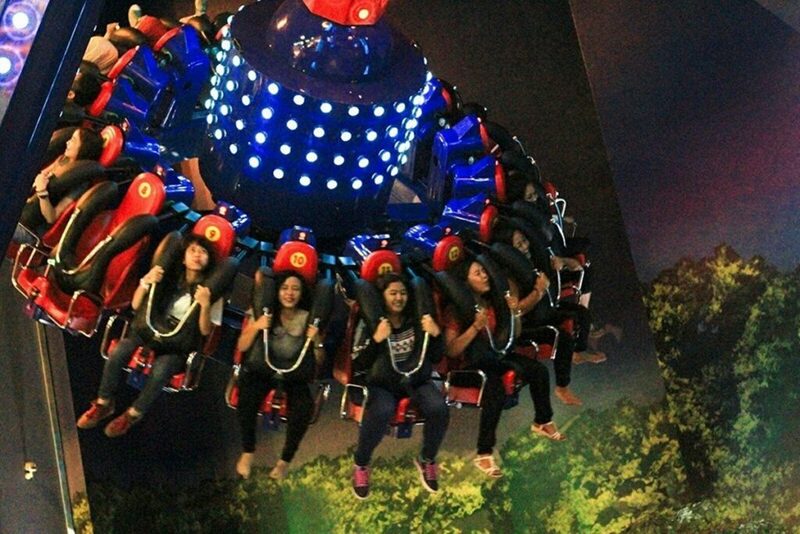 Giant Swing in Trans Studio Bandung has the idea like an analog watch. Visitors will be placed in the pillar with circle shape on the top of it. The pillar will be rotated in clockwise, with maximum height around 18 meters. Visitors must have at least 130 cm height to be allowed riding The Giant Swing. 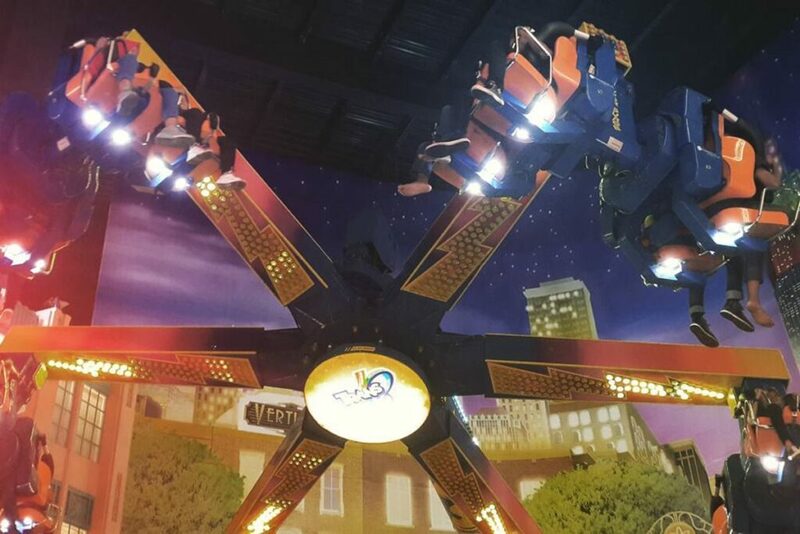 Vertigo in Trans Studio Bandung is a ride which has similarity with the windmill. There are 6 pillars with 4 people in each pillar rotating 360 degrees. Vertigo will run around 180 seconds, with maximum height reaching 20 meters. Just like the Giant Swing, vertigo requires the person who has at least 130 cm height. Just like the name, this ride is running like any other roller coaster. What makes this roller coaster special is the fact that only 3 units available in this world, with other 2 units placed in the USA. This roller coaster can move forwards and backwards with top speed reach 200 km/hour. The track is placed around the park with maximum height 50 meters. It has 135 cm minimum height requirement. 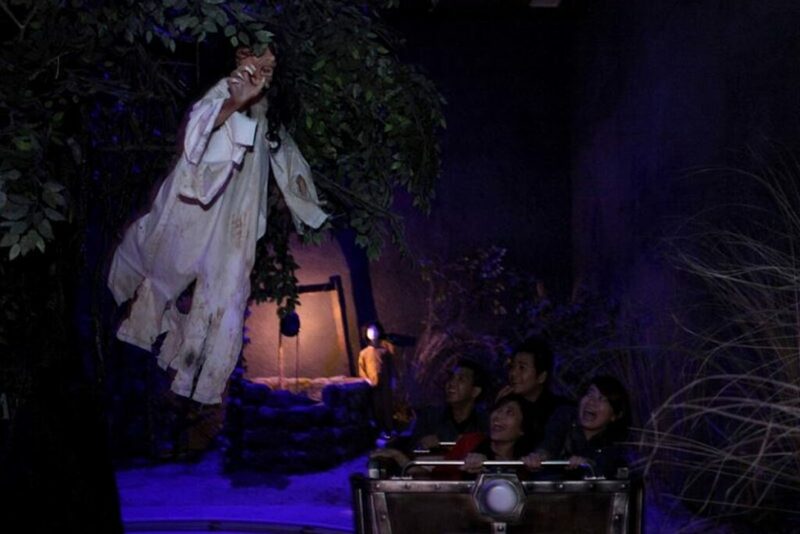 For those who likes mystery or horror, Dunia Lain in Trans Studia Bandung is a must. In this place, you will be shown rooms which have the setting like a well-known mystery place in Bandung like SMA 5 and Gua Belanda. 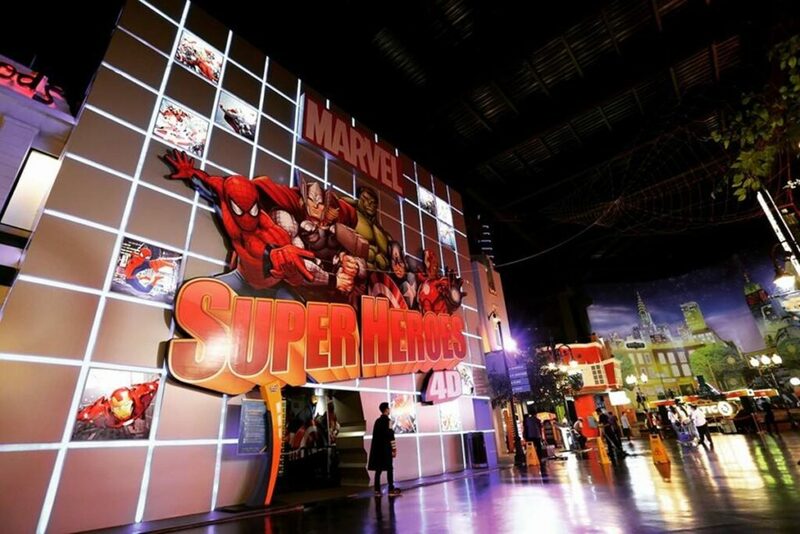 Marvel Superheroes 4D is a cinema simulator of a famous Marvel Characters. The movie in this ride runs approximately 20 minutes with brilliant effect and 4D technology. Transcar Racing is a racing track which is designed similar to a real racing track. The track has 1 kilometer long with a maximum speed of car up to 40 kilometers. The driver must at least has 135 cm height and 100 cm for the passenger. 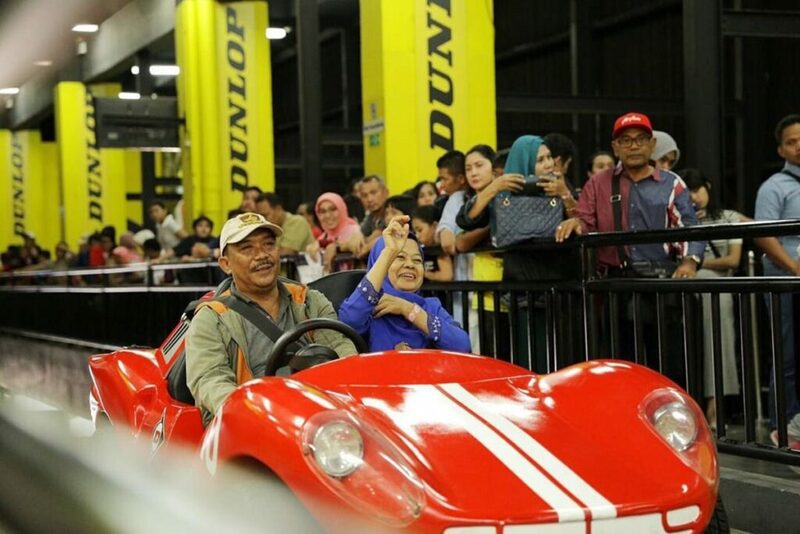 Actually, there are also many other rides available in Trans Studio Bandung which is also interest to try. But those six are the best rides in our humble opinion. If you are planning to visit Bandung but don’t know the way to Trans Studio Bandung, then you don’t need to worry because Bandung provides a lot of car rental options. One of them is car rental Bandung. Just make sure you are going to try 6 rides above! As the capital city of West Java, Bandung is always hectic and crowded. Plus the city is strategically located in a mountainous area and it provides plenty of wonderful tourism spots. Therefore, Bandung is always full of travelers during the holiday. Fortunately, Bandung also has some alternative modes of transportation you can use. Thus, you are still able to travel in Bandung even though you do not bring your personal vehicles. Basically, delman is similar to a horse-drawn carriage. Delman is very common in rural areas, but in some cases, it is available in the city as the tourist attraction. People say delman formerly came from Ciparay, Bandung. If you want to ride it, you can find it around Ganesha Park, Cilaki Park, and Gunung Batu areas. Pedicab has three wheels and uses human power to go. Pedicab is also commonly available near the traditional market to carry maximally two passengers. You can ask the driver to take you somewhere, but you should consider the distance and contours of the road because pedicab uses human power to go. Angkot is the most mainstream public transports in Bandung. 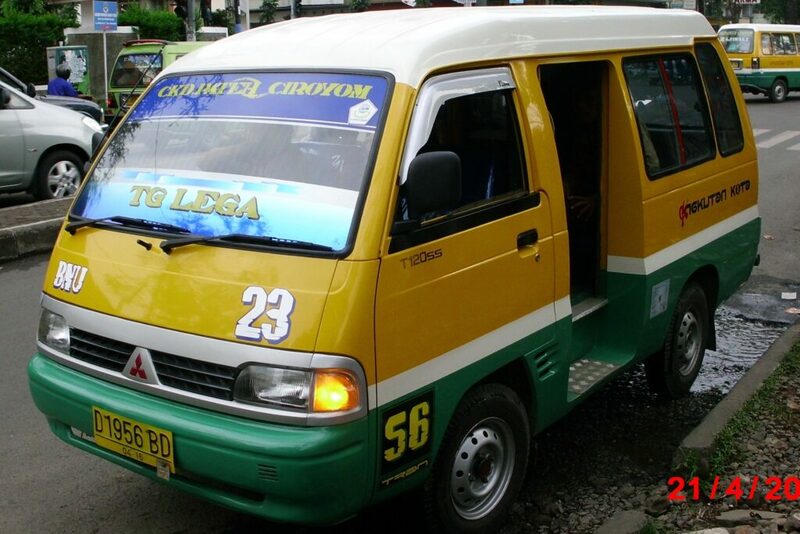 It is the abbreviation of “Angkutan Kota”, that transport the passengers to somewhere in accordance with the predetermined route. Every angkot has a different route based on its code. So, please mind the code if you are going to get in the angkot. The city bus in Bandung is commonly used to transport the inter-city passengers. 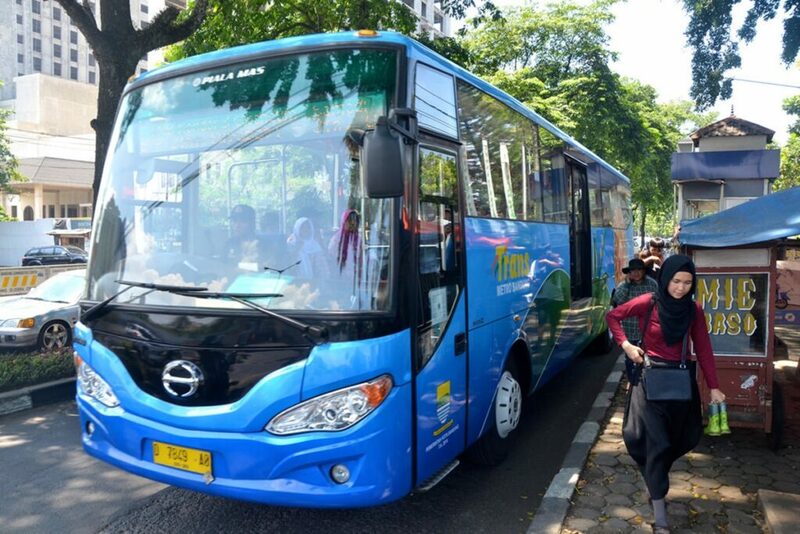 They can take the bus from the nearest city or district toward the downtown of Bandung. 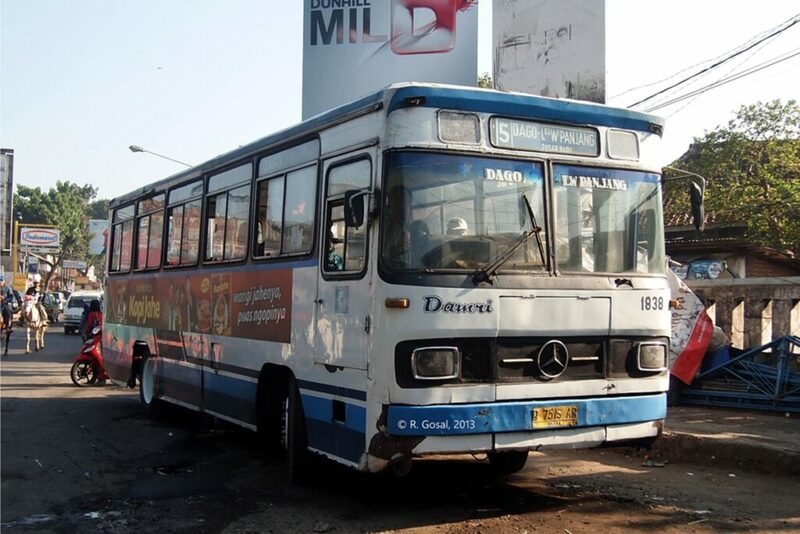 There are various types of bus in Bandung such as Damri or Metromini that also has different routes. Trans Metro Bandung is very similar to Transjakarta Bus. It can carry you to several stopping points, yet you can not get off the bus everywhere as you want. Currently, Trans Metro Bandung has 16 stopping points and 11 corridors spreading all over Bandung. The tariff itself is very affordable and cheap, so you can save money during the tour in Bandung. Bandung Tour on The Bus or commonly known as Bandros is a double-decker bus provided by the Government of Bandung for all travelers. Bandros is ready to take you traveling around Bandung, start from Taman Pustaka Bunga, toward Gedung Sate, and come back to Taman Pustaka Bunga. Keep in mind, the bus operates at 10 a.m to 3 p.m every day! 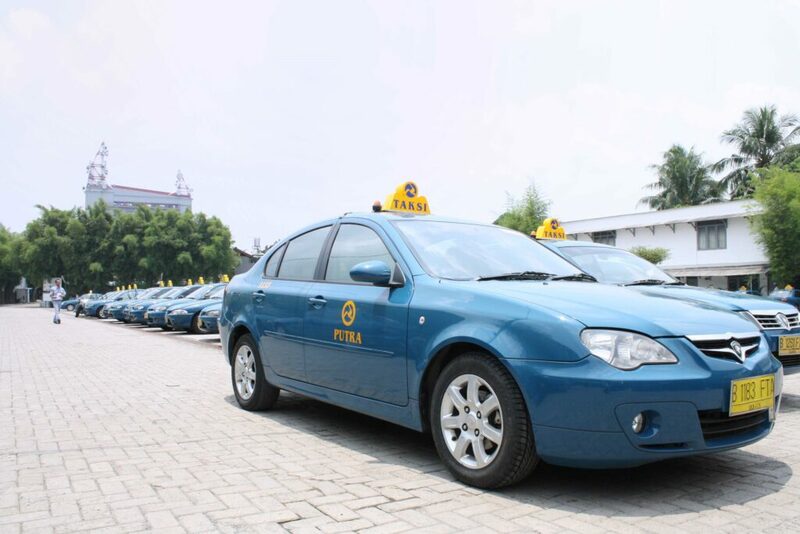 The easiest way to travel in Bandung is taking the taxi / cab. You can ask the driver to drive you to anywhere, but it is very pricey. For some travelers, taxi is not in their budget. Moreover, the drivers can easily deceive the passengers by taking the longest distance because of their lack of information about the route. The last alternative mode of transportation in Bandung is car rental. There are plenty of car rentals available in the downtown of Bandung. You can drive your rented car or get the driver to take you driving around Bandung. The period of rental is adjustable if you want to rent it half day, full day, two days or more. If you are going to rent it, Car Rental Bandung called www.dirgantaracarrental.com can be the best choice! 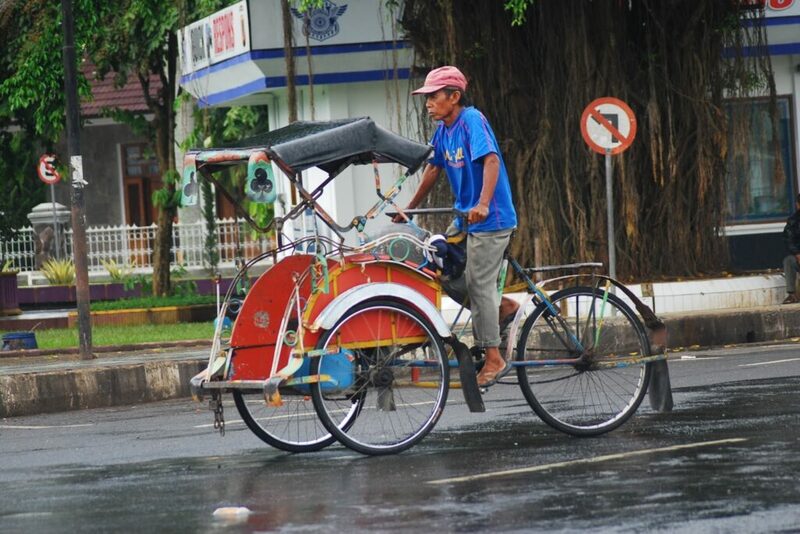 Have you known all the alternative modes of transportation in Bandung city? It is time to combine all of it to travel around Bandung. 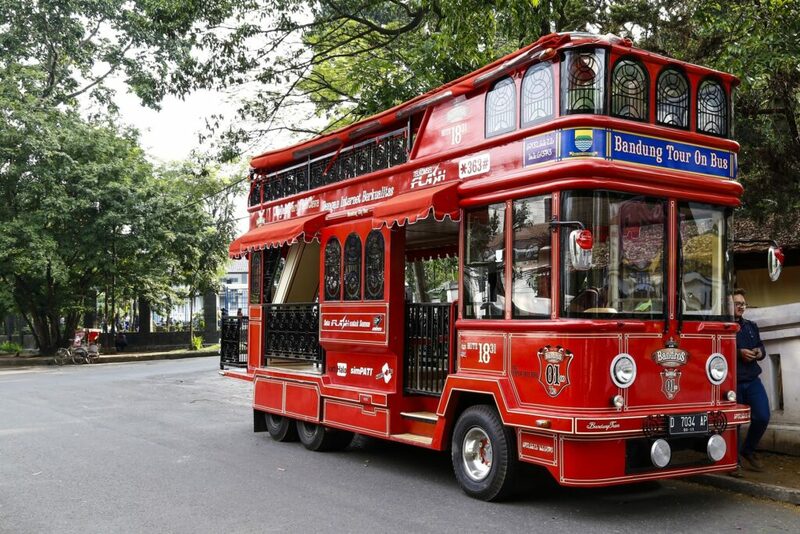 Without driving your personal car, you can still enjoy the holiday in Bandung.